January has hit me harder than I thought it would; the cold, the ice, the wind, the dark evenings. I actually took a week off from running as I just haven’t wanted to run. Most of my runs this month have been on my treadmill (okay I do love some Netflix but I love company more!). Thankfully once a week I met a friend at an indoor track. But all of those runs meant I was not getting my dose of Vitamin D (sunshine) and I am not getting the social aspect of running with friends outside in nature. Studies have shown being outside in nature is naturally calming. Last November at the conclusion of our Fall Sole Sisters SOCIALS we invited you to bring everyone you wanted to our last SOCIAL of the year. Yes, Sole Sisters invited our brothers, fathers, friends, husbands, sons (you get the picture) to join us and it was so much fun. That stuck with me as something we should do more of, inviting all our friends to join us for a walk or a run. I assume others are also finding this winter challenging, so in an effort to beat the winter blues I have an idea. As a direct attack on February’s likely Seasonal affective disorder (SAD) I wanted to get ME and to get YOU out of your homes for a walk or run outside regardless of the weather. I am suggesting that you invite a friend (another chance for our guys to join in if they want) to join you for a Friendship 5K Run or Walk in February. Regardless of the weather, make a date and go outside and do it. Ice, snow, wind, rain, no problem… just get out there and do it! As I sit at my computer typing this, I realize that just doing it is easier said than done, so I will try to incentivize you. I will be at 45 Graham’s Grove, Dartmouth for two consecutive Saturdays (February 2 and February 9th) from 10:00am to 10:30am with vintage BLING for you to earn. Yes, I said it, free medals. I will also bring that bling to the Amherst Valentine’s Run and the Frostbite 5 Miler in Sackville which occur the next weekend (February 16-17). All you have to do is come get a medal from me then YOU and YOUR friend walk or run a 5K. Another suggestion is that you time your 5K so you finish between 10-10:30am and can get your medal from me then. Don’t forget the Sole Sisters route starts and finishes at Graham’s Grove. 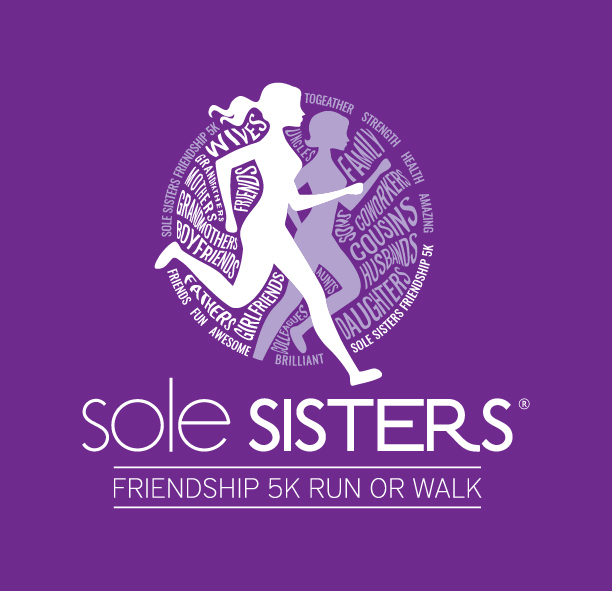 Sole Sisters Virtual Race registration is now open!